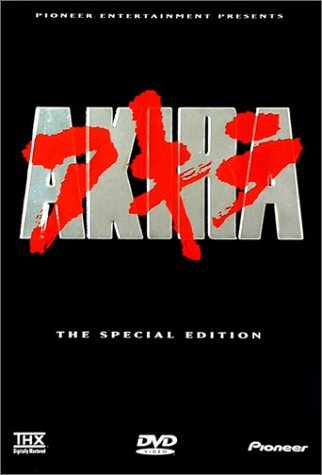 Offering Akira DVD Akira Posters Akira Books Akira T Shirts Akira Soundtrack Akira Video and more with easy online ordering. Kaneda is a bike gang leader whose close friend Tetsuo gets involved in a government secret project knowned as Akira. On his way to save Tetsuo, Kaneda runs into a group of anti-government activist, greedy politicians, irresponsible scientists and a powerful military leader. The confrontation sparks off Tetsuo's supernatural power leading to bloody death, a coup attempt and the final battle in Tokyo Olympiad where Akira's secrets were buried 30 years ago. Katsuhiro Otomo's stunning science-fiction masterpiece, Akira! Regarded by many as the finest comic series ever produced, Akira is a bold and breathtaking epic of potent narrative strength and astonishing illustrative skill. Akira is set in the post-apocalypse Neo-Tokyo of 2019, a vast metropolis built on the ashes of a Tokyo annihilated by an apocalyptic blast of unknown power that triggered World War III. The lives of two streetwise teenage friends, Tetsuo and Kaneda, change forever when dormant paranormal abilities begin to waken in Tetsuo, who becomes a target for a shadowy government operation, a group who will stop at nothing to prevent another catastrophe like that which leveled Tokyo. And at the core of their motivation is a raw, all-consuming fear: a fear of someone -- or something -- of unthinkably monstrous power known only as...Akira. And Akira is about to rise! Collected in six massive volumes, Akira has been reproduced in its original, black-and-white majesty as never-before-seen in an English-translated edition. If you love science fiction, manga or comics, Akira is the one work that must be represented in your collection!